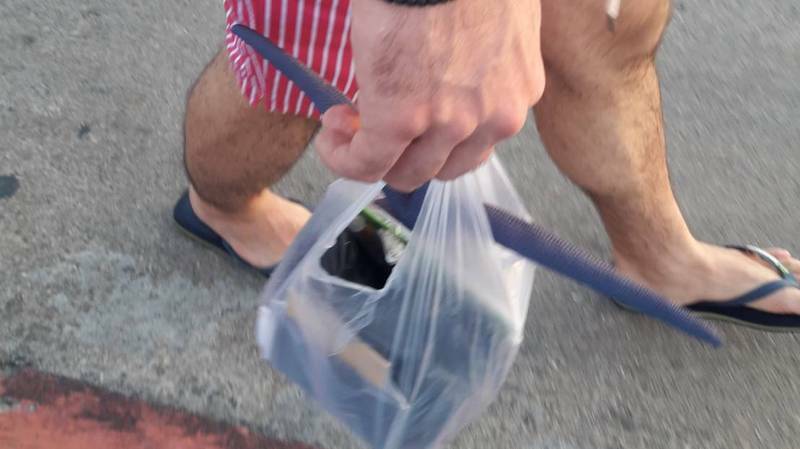 PHUKET: Chalong Police today confirmed they were tracking down the tourist caught walking along Chalong Pier yesterday (Jan 22) with a starfish in a plastic bag. The news broke after tour guide and local marine-life conservationist Khanchit Klingklip, also known by his online moniker "Seaman Freeman", posted photos of the tourist carrying the starfish on the Healthy Reefs Club Line group yesterday evening. 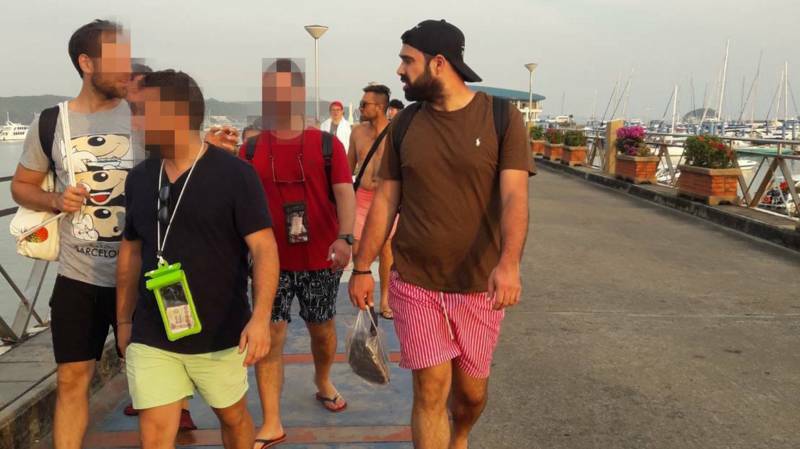 Maj Anurak Klangnarong of the Chalong Police told The Phuket News today, “We will track down this tourist, who was walking with a tour group at Chalong Pier yesterday at 6pm. “I want to find out where the tourist got the starfish," he said. Maj Anurak promised to bring charges against the tourist, if charges could be brought. "After all evidence has been gathered, if possible, I will charge him," he said. They are protected, however, if they are within a protected area, such as a national park. Mr Khanchit told The Phuket News today that he was informed of the starfish-carrying tourist by a fellow conservationist. “I think tourists should no remove any starfish, or even touch them. A blue starfish should be preserved," he said. "We don’t know where the tourist got it from. I am concerned why his tour guide didn't warn him," he added. “We don’t need these things to happen again. Tour guides must be aware of this. Please stop it," Mr Khanchit said. "Do not let tourists come to destroy our natural wildlife, because all marine life is a valuable resource. Please save them,” he urged. Meanwhile, Watcharin Thintalang, the Director of the Phuket office of the Department of Marine and Coastal Resources (DMCR), was not available for comment when the called The Phuket News called earlier today. C'mon K,  P. gave a very constructive contribution. He contributed to your education.You could show a little bit more thankfulness . Oh oh, khun P. Remember, a language is a 'living thing'. It is about the context, not about spelling/chewing letter after letter to find something not relevant to criticise,  but just for criticising and not for a constructive contribution. "Both words mean the same" Heavenly/heavy. That explains a lot.No wonder you don't get it so many times. D. Do not demote a thai tour guide to 'nanny'. The guide is there to inform the tourists about what is allowed/not allowed by thai law. 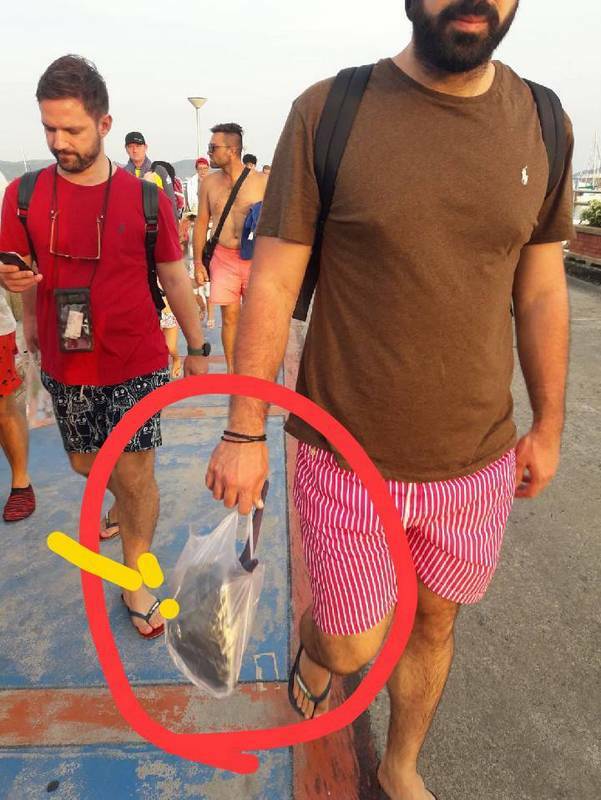 If a tourist can walk back on the pier with a starfish in plastic bag, the thai guide has not done his job, and not has enough personality to stop tourists of wrong doing. P, Both words mean the same. What did you try to express? Yes K,the Thai nanny should get a 3 times higher fine for not looking well after the brainless tourist. If this much effort and resources were aimed at solving the sewage dumping problems, the sea would be cleaner and there would be more starfish. "...than thai tour guide should be fined "heavenly".." I'm curious. Is a "heavenly" fine higher or less than a heavy fine ? Chalong Police should interview boat man and thai tour guide first. Ask or the boat was in a national park area or not, before they accused a tourist of wrong doing. If it was in National park, than thai tour guide should be fined heavenly for not preventing it. Witch hunting tourists is not good for Phuket tourist publicity. Tourist fined? Thai tour guide triple fined! We thai are fair, yes?